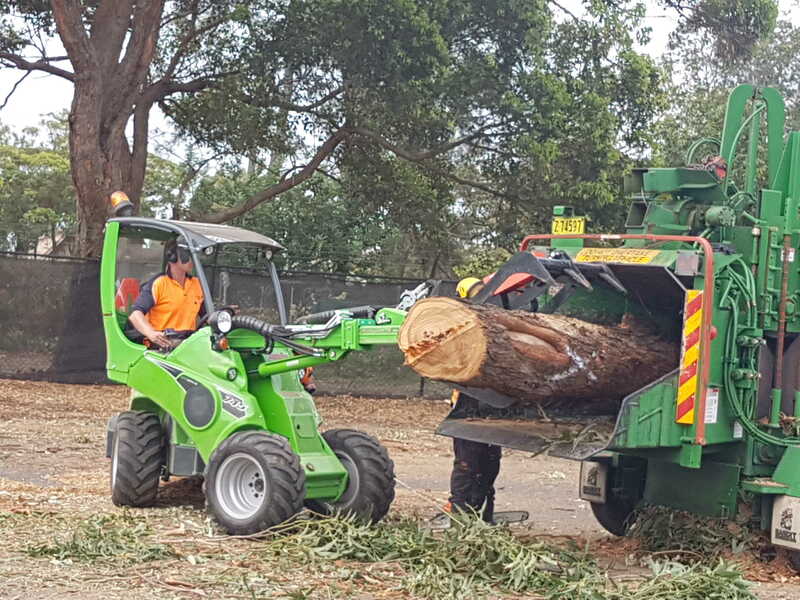 One of the hardest parts of an Arborists job, is the hard physical labour involved. 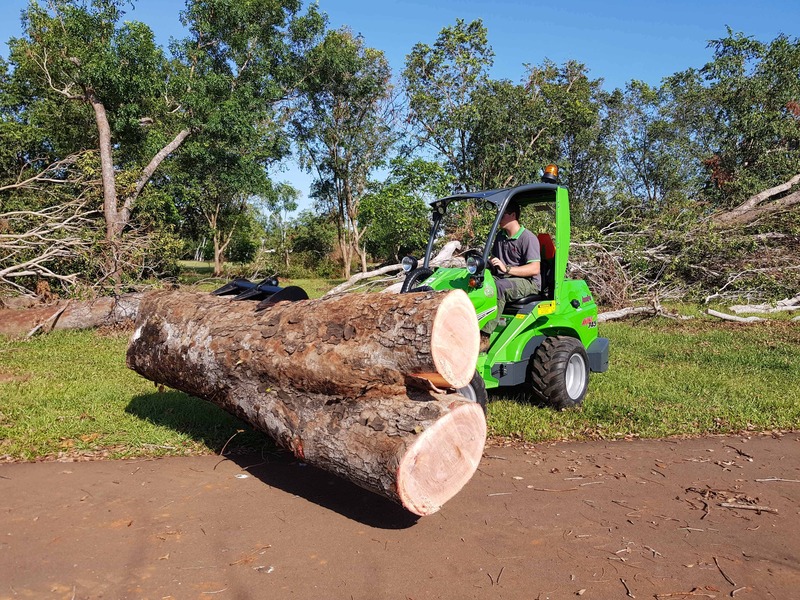 The heavy lifting is taking a toll on their backs, they are exhausted by the end of the day and jobs can sometimes take too long to complete. 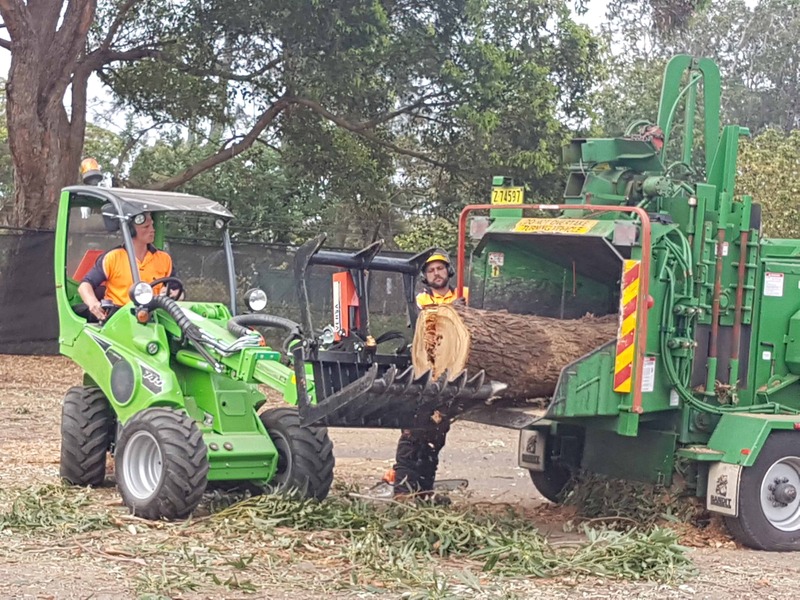 Avant’s ArborPro compact loader series will help arborists carry, move, dig, level, grab, grind and split materials better than ever. 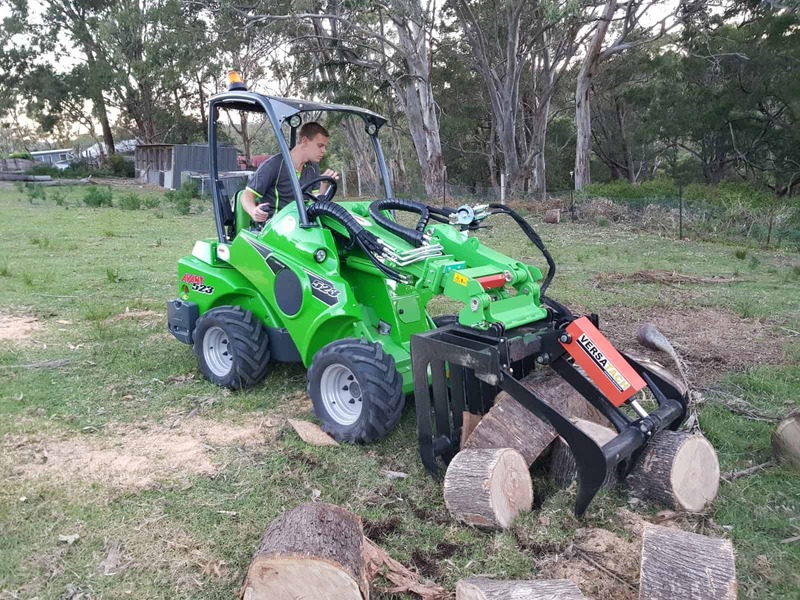 The unique articulated chassis design allows driving on lawns, paved area and other sensitive surfaces with no risk of damaging them. 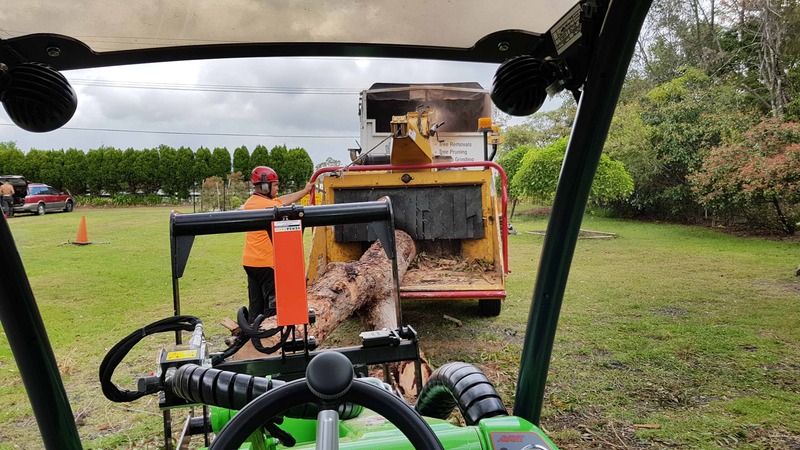 With a telescopic loader boom, arborists can reach new heights and have greater outreach while the modern off-centre boom construction guarantees excellent, unrestricted visibility, preventing the need to reach out from the driver’s seat to see the attachment. 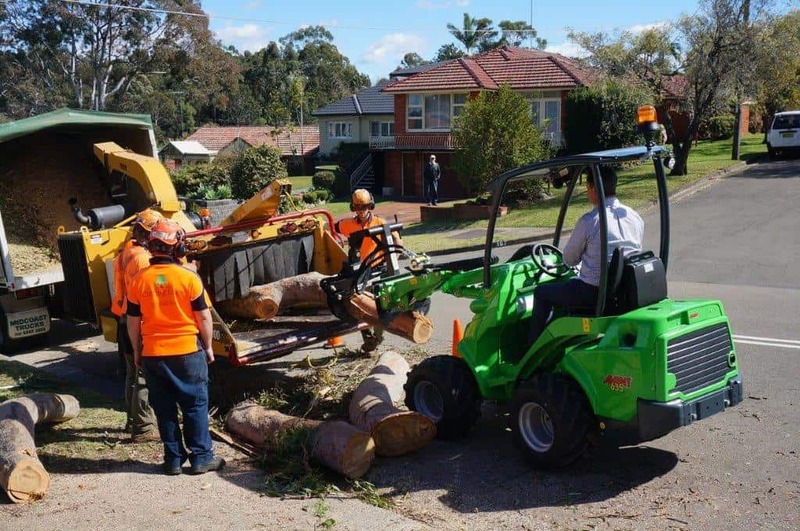 While the boom self-levelling makes load handling quicker, the articulated design allows precise sideways moving of the load in tight situations. 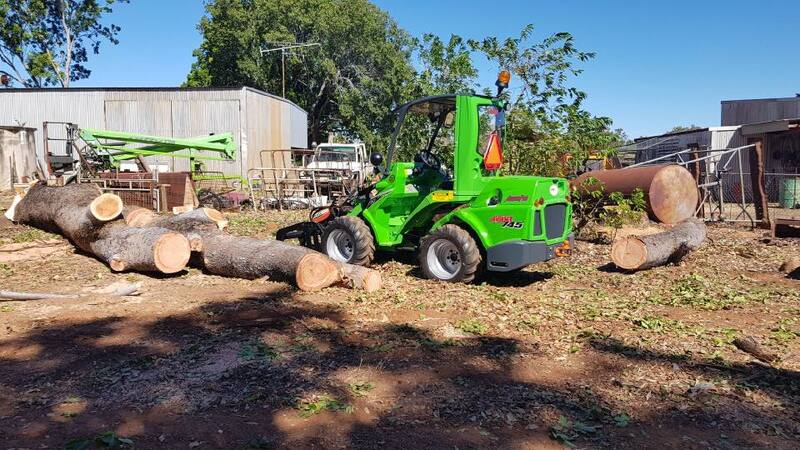 The dimensions, auxiliary hydraulics output and other features of Avant work with the attachments, consistently achieving maximum output. Despite the increase in power, comfort and versatility, Avant hasn’t compromised on safety. 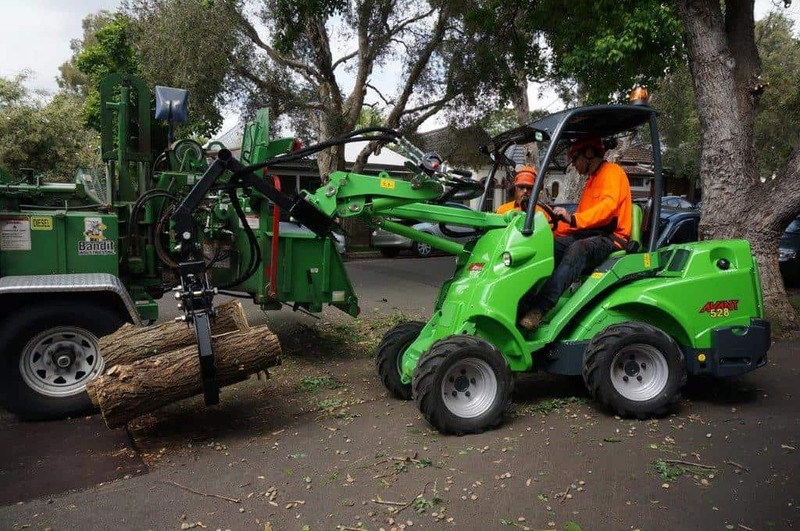 From the load sensor system which provides an audible warning if the rear wheels are about to lift off the ground, to the Avant quick hitch system allowing easy, safe and fast attachment coupling, the Avant maintains both functionality and aesthetics as well as providing increased opportunity for the operator to respond to machine issues. 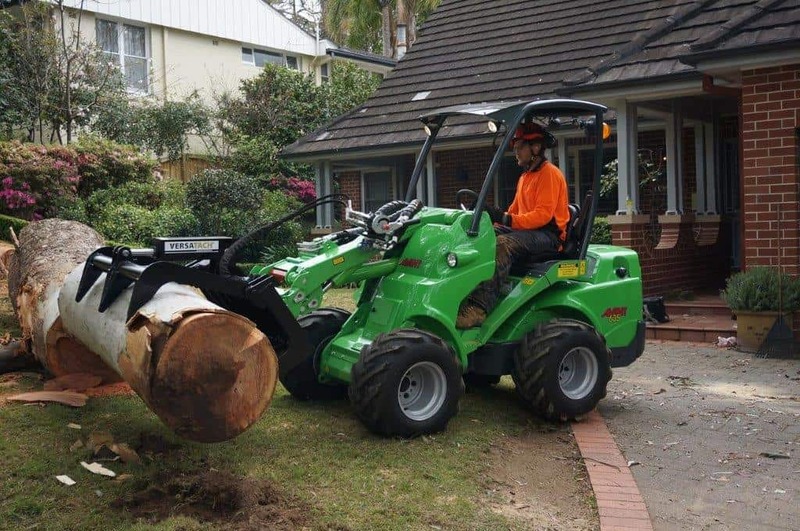 The Avant ArborPro is the best loader on the market for Arborists and tree Loppers. The 745 provided the full package. 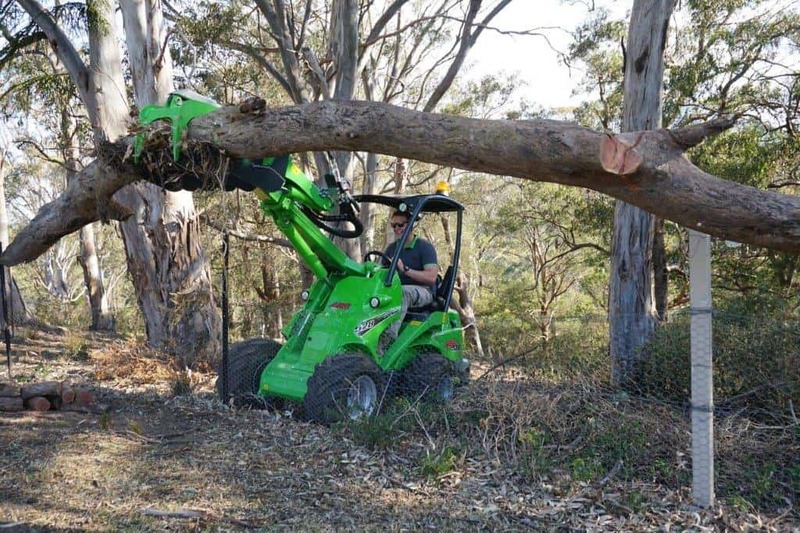 It offered great manoeuvrability in and around tight spaces while being able to lift large weights. 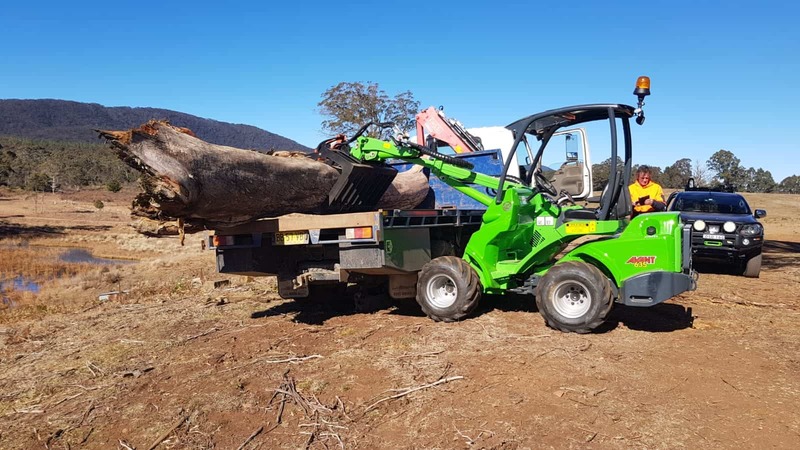 The extendable boom saved us time when cross truck loading and unloading. The 745 achieves greater power while using less fuel. It has a better braking system than others on the market, even compared to previous Avant models. The size of the machine to the weight it can lift is very impressive.